Geneva, Switzerland – January 9, 2019: WISeKey International Holding Ltd (WIHN.SW, OTCQX: WIKYY) (“WISeKey”), a leading Swiss based cybersecurity and IoT company, today announced the launch of its WISeTrustBoot solution, a platform-independent Secure Boot and Secure Firmware Update solution that can be used stand-alone or as part of WISeKey’s security framework for IoT installations, WISeKeyIoT. WISeTrustBoot will be introduced during the 2019 Consumer Electronics Show (CES) in Las Vegas (January 9 -12). While cyberattacks are rapidly increasing in number, scale and sophistication, the constantly increasing number of connected devices, most of which are based on simple processors tailored to execute simple tasks and presumed by the manufactures to be devices that don’t require “much security” (think of talking dolls or smart refrigerators), make these attacks more critical and dangerous. These risks are amplified by the fact that most of these devices provide direct internet connections without firewalls or anti-virus software, turning the Internet of Things (IoT) into a vast playground for criminals. Unless the designers of these devices start taking into account sound security measures, their products will be used by dangerous actors to launch Distributed Denial of Service (DDoS) attacks, Ransomware or corporate sabotage. 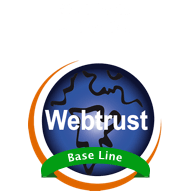 WISeKey’s WISeTrustBoot solution, unveiled at the 2019 CES in Las Vegas, is the first platform-independent Secure Boot and Secure Firmware Update solution that combines the strength of tamper resistant secure elements, state-of-the-art crypto libraries and strong digital signatures, and is backed by WISeKey’s 20-years of experience in secure chip design and digital identity management. By storing critical boot information in a tamper resistant chip, and cryptographically binding this chip to the device’s main processor, the carefully designed boot loader of the main processor becomes a stronghold able to verify the authenticity of the firmware prior to starting up or when receiving firmware updates in the field. WISeTrustBoot can be deployed as a stand-alone solution – its powerful toolbox gives application developers the flexibility to tune it to their specific needs. 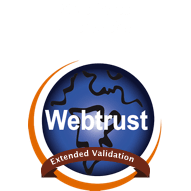 Also, WISeTrustBoot can be integrated as a component of the WISeKeyIoT solution, an innovative end-to-end security solution designed to enable secure communications for IoT devices, by increasing the level of security and creating user/consumer trust. 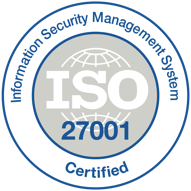 “WISeTrustBoot materializes the synergy between WISeKey’s tamper-resistant secure elements, state-of-the-art cryptographic software libraries and Managed Public Key Infrastructure. This is another example of a product finding its strength in WISeKey’s expertise in security implementations, tuned to protect IoT devices, both at startup as well as during firmware updates in the field,” commented James Livingston, Vice President of Sales and Business Development for Americas. James Livingston will be holding business meetings on this topic during the 2019 CES in Las Vegas. To set up a meeting please send an email to: jlivingston@wisekey.com. WISeTrustBoot comes as a development kit with a software library and binary code, combined with a preconfigured tamper resistant chip VaultIC407.  WISeKey (SIX Swiss Exchange: WIHN) is a leading global cybersecurity company currently deploying large scale digital identity ecosystems for people and objects using Blockchain, AI and IoT respecting the Human as the Fulcrum of the Internet. WISeKey Semiconductors secure the pervasive computing shaping today’s Internet of Everything. WISeKey has an installed base of over 1 billion microchips in virtually all IoT sectors (connected cars, smart cities, drones, agricultural sensors, anti-counterfeiting, smart lighting, servers, computers, mobile phones, crypto tokens etc.). WISeKey is uniquely positioned to be at the edge of IoT as our semiconductors secure a huge amount of Big Data that, when analyzed with Artificial Intelligence (AI), can help industrial applications to predict the failure of their equipment before it happens. 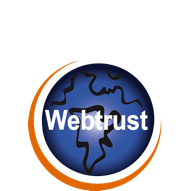 Our technology, trusted by the OISTE/WISeKey’s Swiss based cryptographic Root of Trust (“RoT”) provides secure authentication and identification, in both physical and virtual environments, for the Internet of Things, Blockchain and Artificial Intelligence. The WISeKey RoT serves as a common trust anchor to ensure the integrity of online transactions among objects and between objects and people. For more information, visit www.wisekey.com.